Sorry Blue Dragon is no longer sailing/ not running trips. Please see our other liveaboard boats to find similar a boat or contact us so we can hep you find another dive boat. 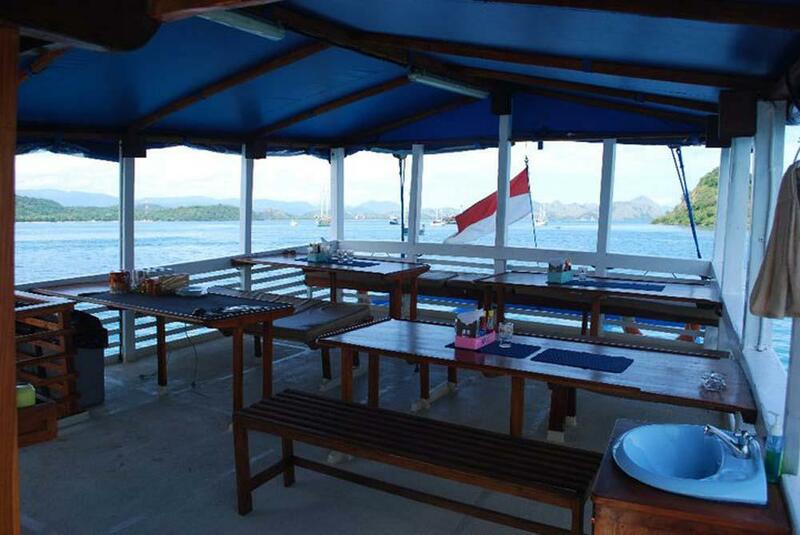 Blue Dragon is now under new management and offering a new & updated schedule that visits all of the places which offer the best diving in Indonesia. 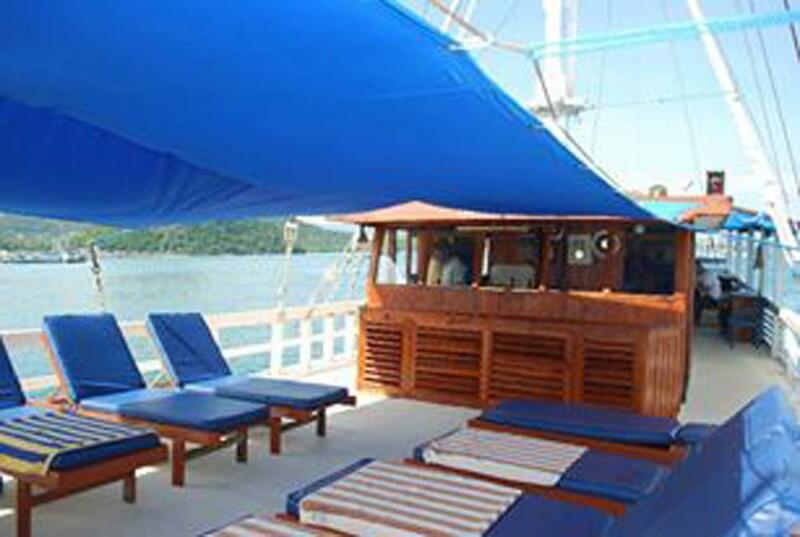 The boat is run by a good team of professionals and each trip is safe fun and great value. 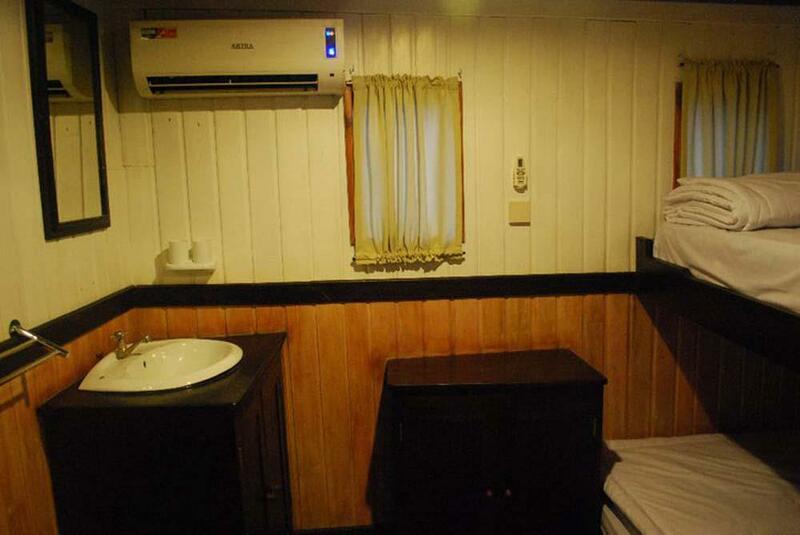 Up to 14 lucky guests stay in twin or double air-conditioned en suite cabins. Diving Indonesia is always an adventure, but safety is vital and finding the best dive sites at any given time of year increases the chances of enjoying Indonesia diving and seeing some marine life that lives nowhere else on earth. 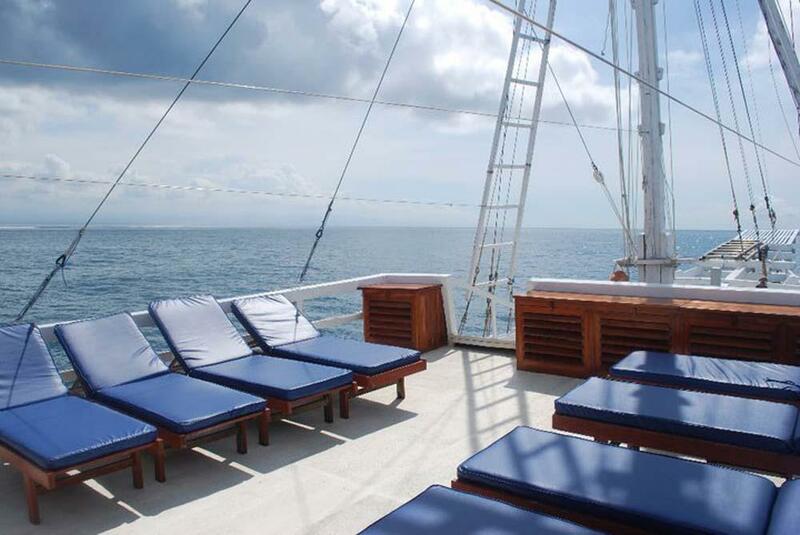 Blue Dragon has the best mix of comfort adventure and great value. Although the boat may look old, its styling is among the most popular in this part of the world, and Blue Dragon is actually very new (launched in 2008). 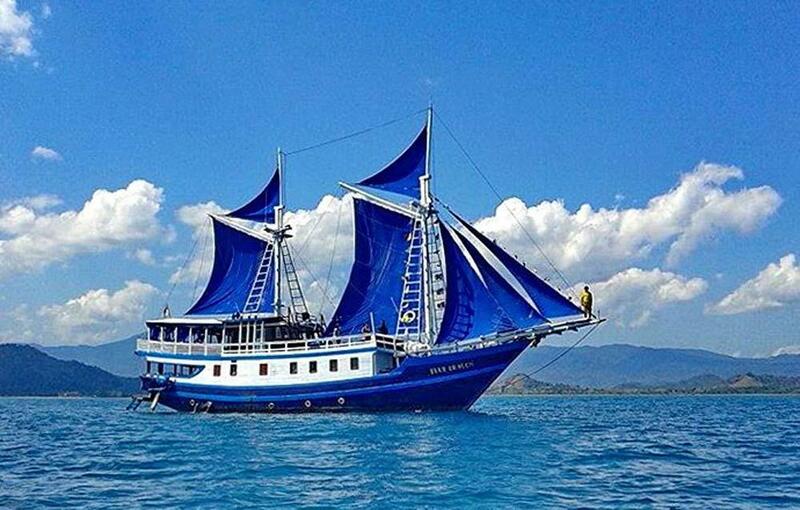 Phinisi schooners have been built in Sulawesi for centuries, using local woods such as teak and Ulin Ironwood. 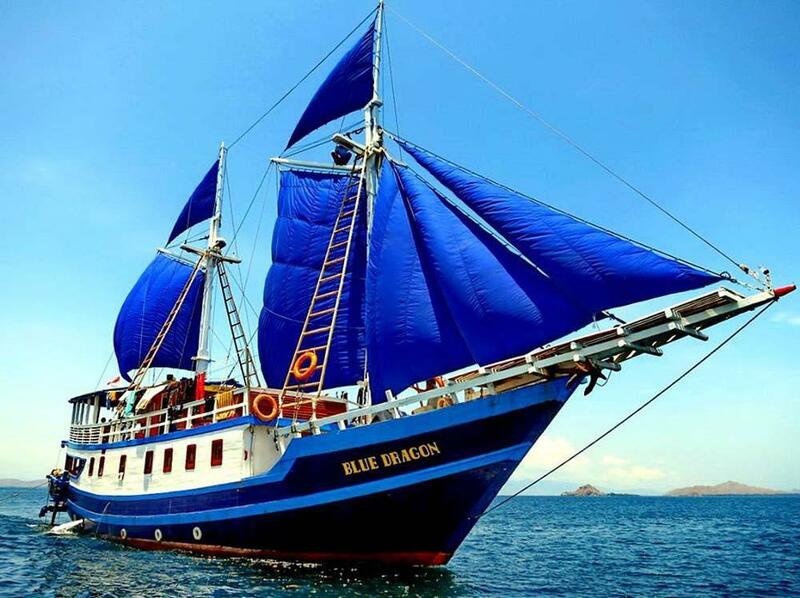 Blue Dragon was designed and built to provide some of the best scuba diving Indonesia cruises, most of which are 7 nights in length. 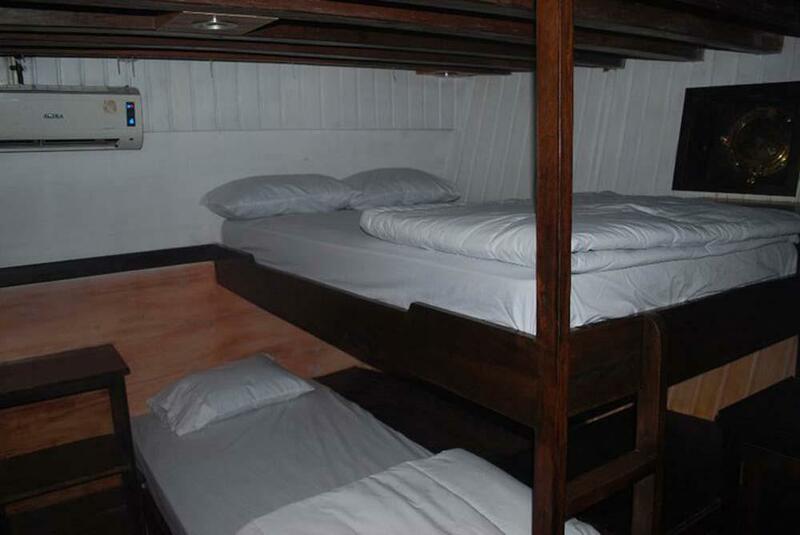 The boat has two types of cabin to choose from, which are twins and doubles. 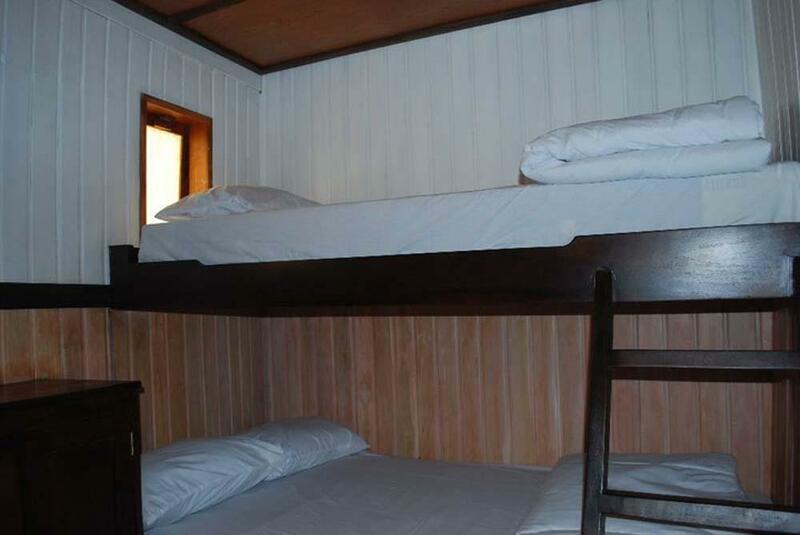 All have air conditioning and private en suite bathrooms. There is also an air-conditioned lounge/dining area for guests to eat and/or relax. Blue Dragon also has plenty of space outside, including shaded and exposed spaces for relaxing and an outdoor dining area. There are two motorized tender dinghies which are used to collect divers efficiently as soon as they surface after a dive, transport guests to and from the pristine beaches around Indonesia, and sometimes drop divers off directly above the reef. Blue Dragon is 26m. 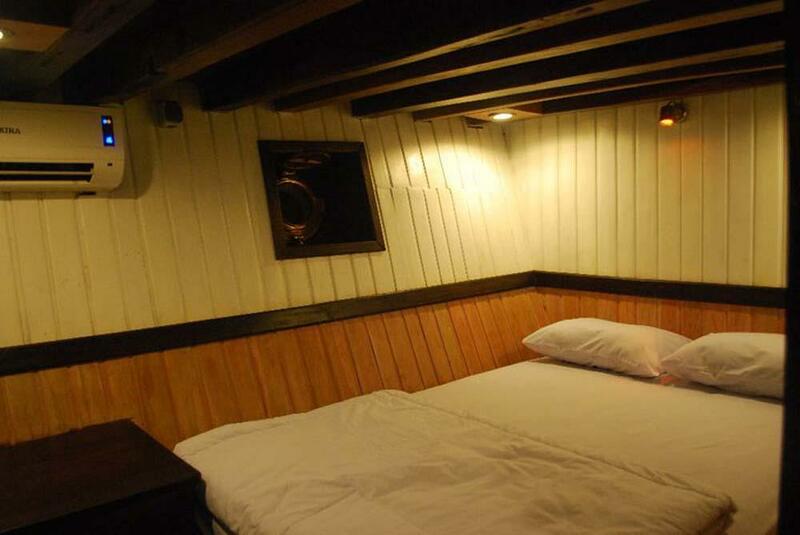 long and plenty big enough to accommodate up to 14 lucky guests in comfort as well as the crew and dive staff. 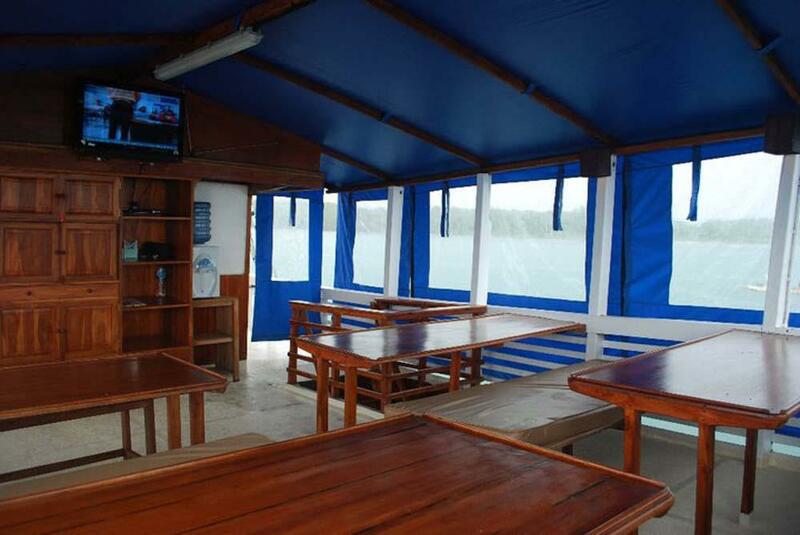 The diving equipment is stored in the lower deck’s wet area and protected from the sun and weather. 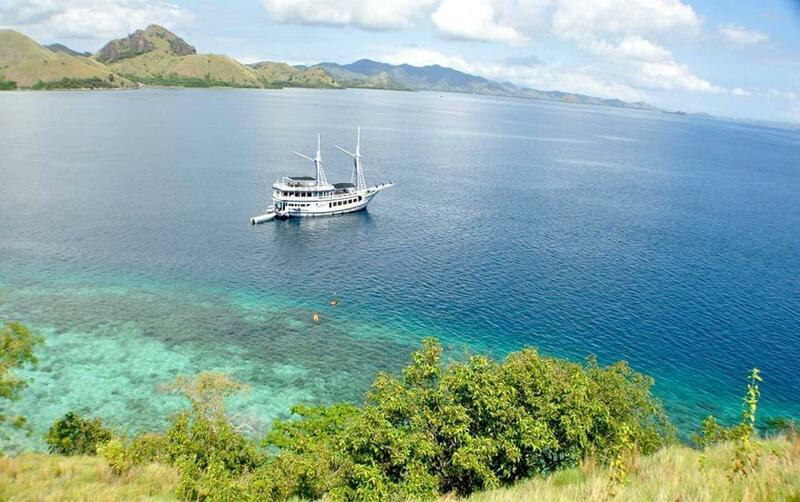 Blue Dragon has several itineraries depending on the time of year and location within Indonesia. Each is carefully planned to offer the very best scuba diving opportunities and meet each guest’s needs and expectations. Ideally, the easier dives are at the start of each cruise, and the planned itinerary is followed. However, there are times when changes need to be made to ensure safety and maximise the enjoyment of those on board. Factors to cause any itinerary changes are weather & sea conditions, recent marine life sightings, and needs of the guests regarding their level and experience. Safety always comes first, closely followed by comfort and enjoyment. Please check the details of each trip in our schedule. 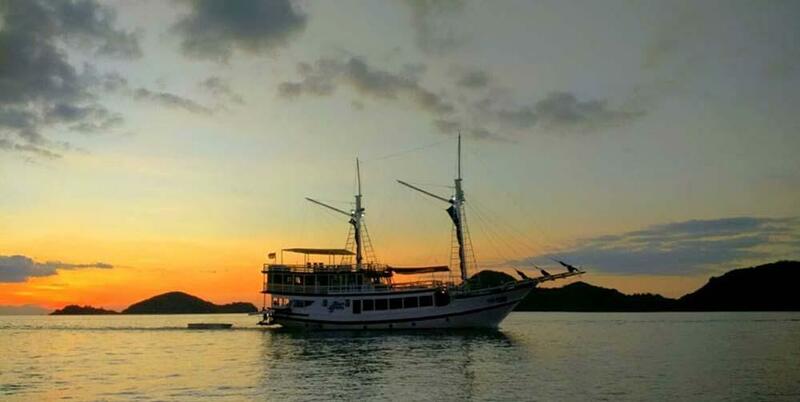 If you would like to take part in a diving course on your Blue Dragon Indonesia liveaboard trip, please contact us as early as possible to discuss availability and rates. Blue Dragon offers free scheduled transfers from the nearest airport to departure pier and local hotels & resorts on departure day. At the end of the cruise, free drop offs are also available to local hotels and the nearest airport. A good selection of high-quality diving equipment is available to rent. Please inform us well in advance so that we can be sure to have the correct items and sizes ready for you.